I haven’t posted much of anything in a while. I realize that these dry spells probably make it difficult to maintain a decent amount of an audience. I’m often not sure why I blog, until I remember that it’s crucial to my overall thought organization \ analysis process. Also, I had a rough few months with forearm tendon and ligament issues from too much knife work. However, it’s been a while and I have a decent amount stored up to share with my readers. I like WordPress because it is a great way for me to step outside of my own existence for a bit and crawl into the head of another. 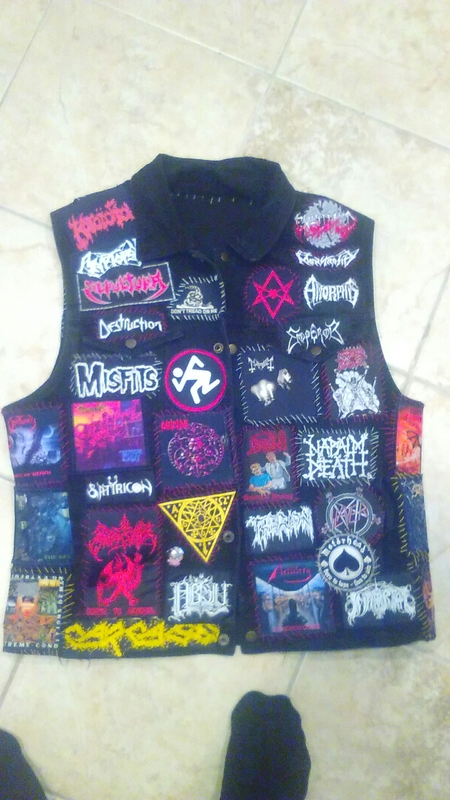 I finally finished my battle vest after working on it for nearly a year. Finished it just in time to go see DRI last week. It was the show of a lifetime. Met Kurt Brecht and Harald Omioen. 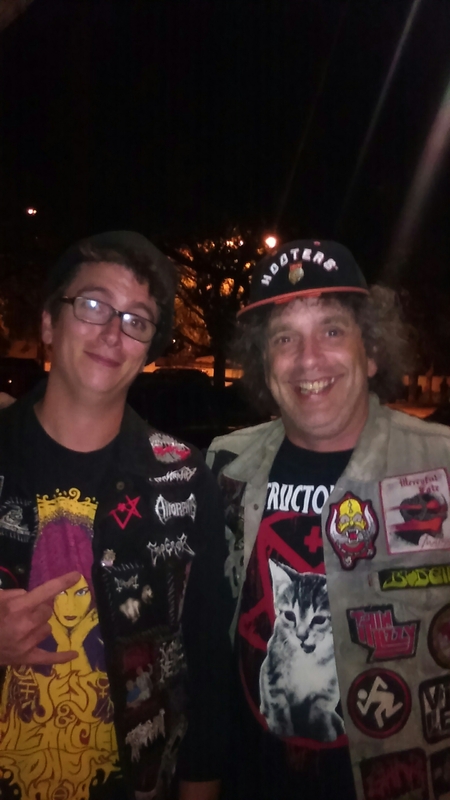 My Buddy Damien came with me to the show and bought me beer and we had a blast. I went in the pit for about a minute during Bleeding Money’s set and it was pure feral delight. 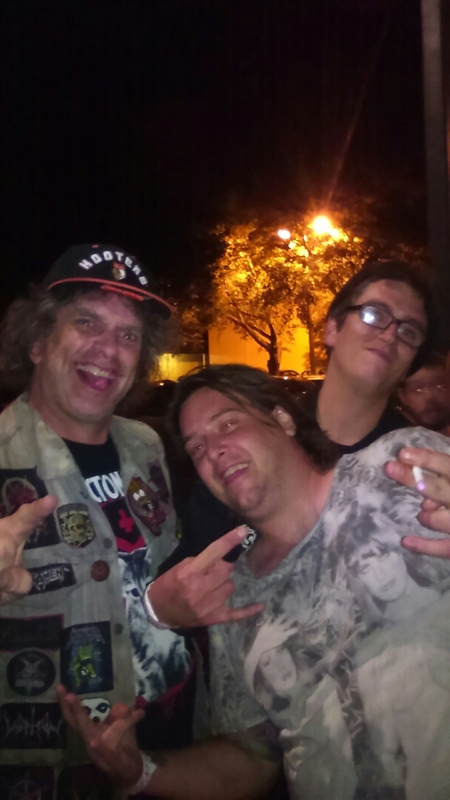 The highlight of the night was Damien and I hanging out front of the venue with DRI bassist Harald. 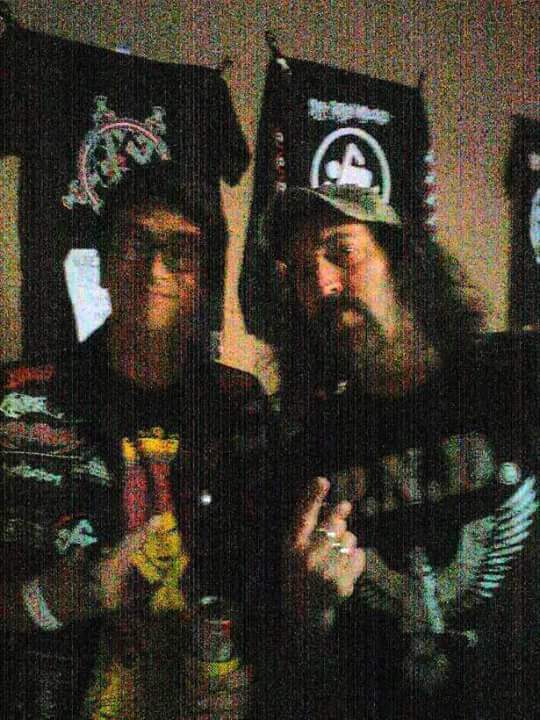 He told us the story of his goofy dance bomb on Watain’s stage at the Maryland Death Fest. 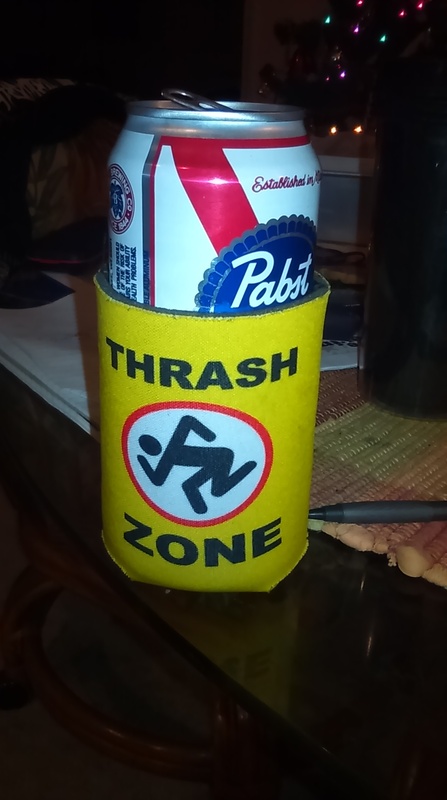 We talked Metal and got a few awesome pictures of the DRI gents we met. Very nice people and they absolutely destroyed the place with their live show. Pure professionals, those guys. Aside from that, just keeping my head above water and getting ready for Christmas. Shannon and I had a blast decorating our tree together for our first holiday season as a couple. My blood pressure was a bit high from being on adderall so I got put on an ACE inhibitor and got it under control and switched to Ritalin. Oddly enough, even though I hated it as a kid it seems to be a better fit than the adderall. Fancy that. That’s about all for now. 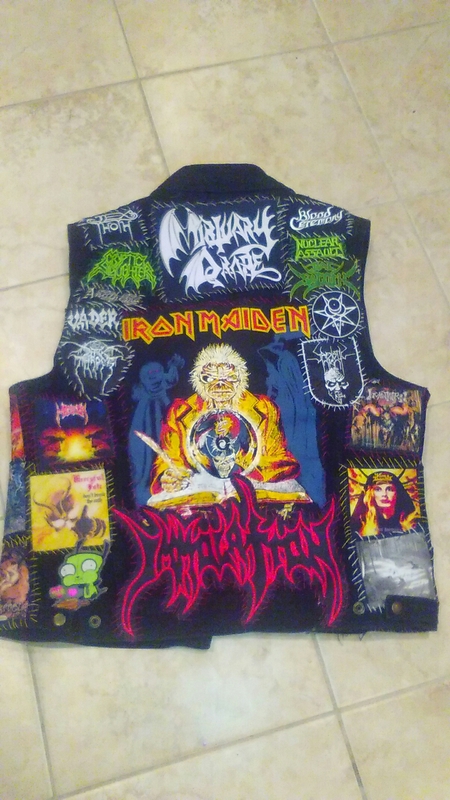 Here’s a few photos of the vest and from the show.